By Todd Woodfield, General Manager, Horticon, Inc.
Container plant growers have always faced the problems of the hot sun beaming down on their plastic pots. 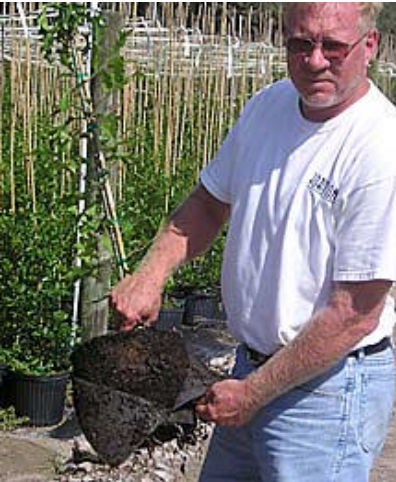 When the sun shines on the black plastic, temperatures rise in the container, limiting root growth. Like every other container grower, we often have a problem with the hot side of the pot – that quarter section of the container that faces the sun where limited roots seem to grow. For us in Florida, the west side of the pot is usually the hottest, thanks to our long afternoons in the sun. Solutions for this problem are limited. Some nurseries quarter turn their pots, spinning their containers every few months so that what used to be the west side now faces a different direction. 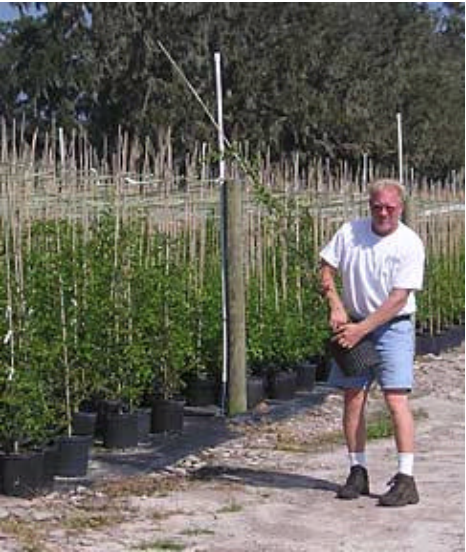 However, when a nursery grows thousands of plants, rotating them becomes a major undertaking. Even after rotating the new hot side quickly stops developing good roots. Most nurseries simply accept the problem as one that they can’t do anything about. At Horticon in Ocala, Fla., we line our 3- gallon containers with fabric sleeves from Root Control Inc. Originally, the idea of the fabric sleeve was to eliminate root circling in the pot and to root-prune the root structure of the plant. We felt this would give us the best possible root structure and, therefore, the best possible plant to sell to our customers. However, after using the fabric in the container we began to notice another extremely important feature – insulation. The fabric insulates and slightly separates the plant’s root structure from the plastic container. When the sun beams down on our fab-containers with no fabric insulator. Likewise, in the winter, the container soil temperature is about 10 degrees warmer than a plastic container with no fabric insulator. Why does the insulator make a difference? The answer is simple – better growth. If we keep ours plants a little warmer in winter and a little cooler in summer, they grow better. The outside edge of the root ball that would typically dry out in conventional pots seems to retain more moisture longer due to the fabric insulation shielding the heat from the soil. Also, having the plant’s root structure grow in the full area of the container adds to growth. In a uninsulated container, we have lost perhaps one-eighth to one-quarter of the growing area, depending on the heat of the sun. With the fabric-insulated container, the root structure of the plant will fill out the whole pot, giving us a little extra area of growth. Every little bit helps when your goal is to grow the best possible plant, and you would like to do it as quickly as possible. 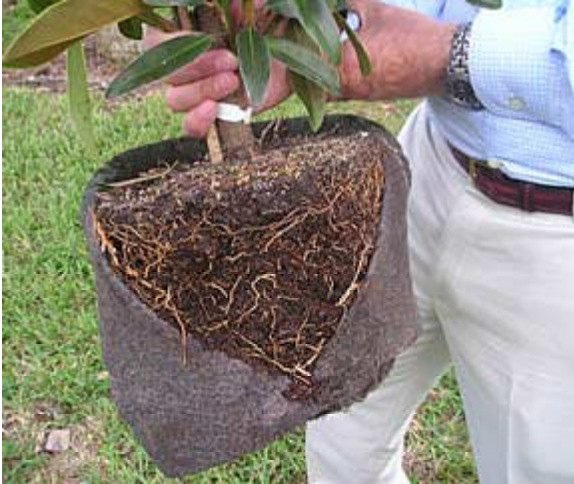 Another great benefit of the fabric insulator is that when we sell a plant and the fabric is removed, the action of removing the fabric sleeve from the root ball stimulates immediate new root growth. This immediate new root growth gives our customers some of the quickest plant re-establishment times in the liner business. Regardless of whether our liner is transplanted into another container or field planted, immediate re-establishment is the key to customer satisfaction.